We have been sailing around the world in search of the best fishing grounds since 1961. We were pioneers in the construction of the first vessel with on-board freezing technology. Other vessels followed, which at the time where the largest freezer vessels in the world and the first to process fish offshore. Our fleet is currently made up of 72 vessels, both freezer vessels and wet-fish trawlers, operating in the main fishing grounds of the southern hemisphere, fishing and selecting the best marine species. Trawlers, beam trawlers, squid fishing vessels and longline vessels specialized in hake, kingklip and monkfish fishing in Namibia, shrimp fishing in Mozambique, red shrimp fishing in Angola, Argentine red shrimp, black hake (also known as toothfish), squid and gurnard fishing in Argentina and Uruguay, among others. 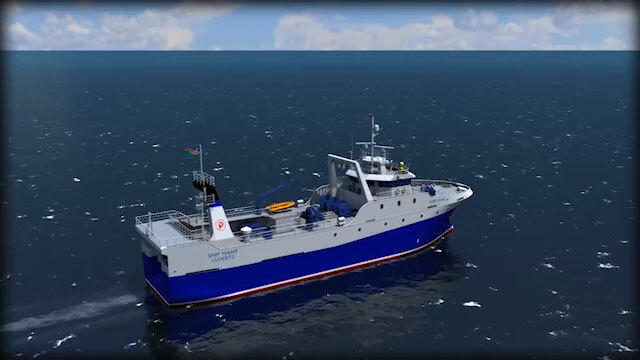 Our clear commitment to Innovation and to the constant improvement of all our activities has led to the renovation of part of our fleet with the construction of 7 new vessels: 3 for Namibia and 4 for Mozambique, an investment covered by our 2020 Strategic Plan. It has one of the largest fleets of the Group and it fishes, among others, Argentine red shrimp, squid, black hake (also known as toothfish) and Chilean sea bass. It started operating 30 years ago, being based in Puerto Deseado (province of Santa Cruz, Argentine Patagonia) where it has processing and refrigerating facilities. In addition, it has a fleet made up of 16 vessels, twelve of which are beam trawlers, two squid fishing vessels, one trawler and one longline vessel. 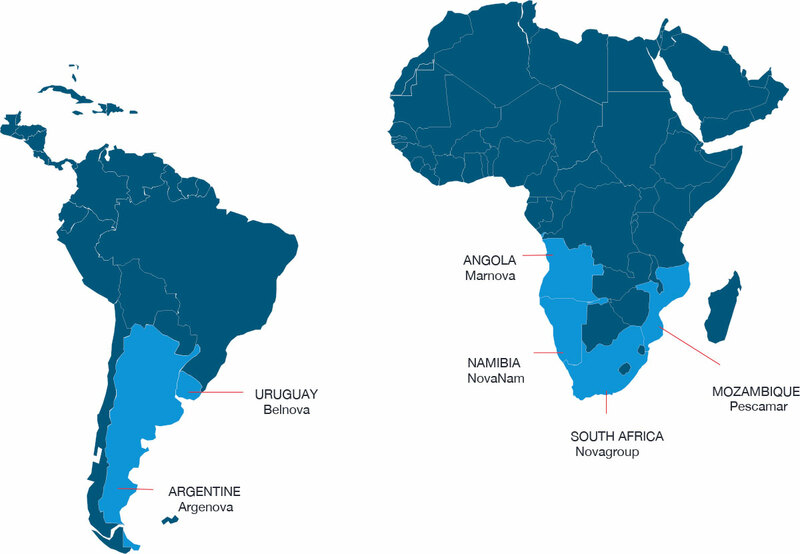 Based in Uruguay, Belnova has been fishing and processing seafood products for more than 40 years. Its processing vessels operate in the waters of Uruguay, being at the forefront of the local fishing industry. It fishes Argentine hake, Atlantic pomfret, gurnard and squid, among others. Based in Benguela (Angola), it is one of the Group’s fishing companies in the African continent and it is specialized in the capture of red shrimp, deep-water rose shrimp and crab, among other species. Its wet-fish trawlers bring mostly hake to Namibian docks, although its bycatch is also processed and commercialized, consisting largely of monkfish, pompano or kingklip. It has two factories in Namibia, one in Walvis Bay and another one in Lüderitz, the latter being the largest hake processing center in Africa. Based in Beira (Mozambique), it has the largest fishing fleet of the Group, with more than 30 vessels. It started operating in 1980 and is specialized in the capture of various prawn species, mainly tiger prawn, banana prawn, Guinea shrimp, western king prawn and giant tiger prawn.